School’s Out Carnival! Coming in June! 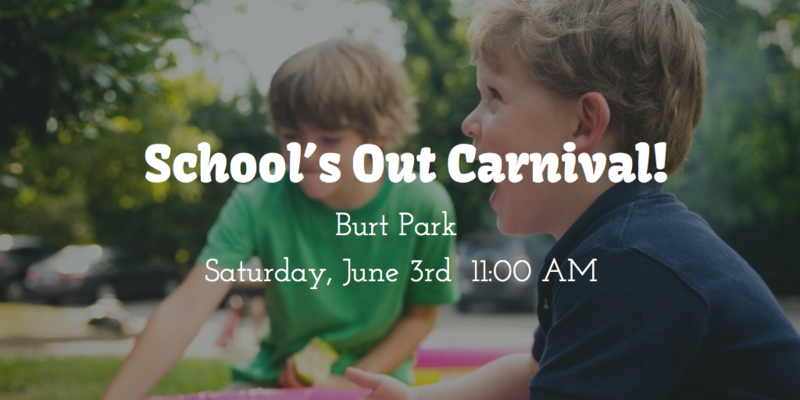 Come for a fun family day to kick off summer break. Free games, activities and food.